California State Route Hwy 74 running through Garner Valley in the San Jacinto Mountains of Southern California. Hwy 74 is to the left of the photo and heading west towards Lake Hemet, Idyllwild and beyond. Numerous Jeffrey Pine Reforestation tree planting projects have taken place on the south side of this Highway which would be on the left-hand side of this picture. 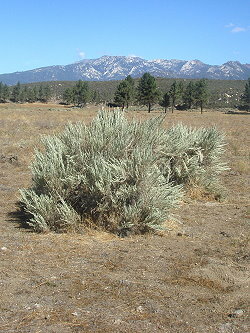 In an effort to achieve plantation success, Authorities in charge have often mistakenly eradicated most all Chaparral (with the exception of a few large Scrub Oak specimens) believing the pseudo-science view that Chaparral (which includes Big Sagebrush) is an invasive predator and competitor of forest movement, development, growth and maintenance for survival. However, modern day research and understanding of Artemisia tridentata (& other Chaparral), proves that these species of plants actually assist and promote young forest growth and development. Yet, despite all the good encouraging research papers currently available, which shed light on the truth of Chaparral benefits, old die hard ideological and economic agendas of business/political entities still pervades. For the moment, let me review a few points from a USDA report written about some of the misinformation on Big Sagebrush and it's management or mismanagement. The paper is authored by Bruce L Welch and Craig Criddle who authored the book, "Countering Misinformation Concerning Big Sagebrush" (July 2003) - Rocky Mountain Research Station (Fort Collins, Colorado). It deals with 8 commonly believed Axioms, which for those unfamiliar with the term, an Axiom could simply be described as a self-evident truth that requires no proof. Frankly there are many such Axioms in other areas of science, but let's focus on this one regarding Artemisia tridentata. I loved this read. It illustrates how bad science can be at times when biased and/or prejudiced by economic, political, religious or other ideological or philosophical motivations. They clearly expose the traditional long held pseudo-scientific flaws in the view of Artemisia tridentata and it's imagined damage to Livestock performance success. Keep in mind as you read the link to the study how this flawed thinking is also what drives the demonization of other plant species around the globe. "This paper examines the scientific merits of eight axioms of range or vegetative management pertaining to big sagebrush. These axioms are: (1) Wyoming big sagebrush (Artemisia tridentata ssp. wyomingensis) does not naturally exceed 10 percent canopy cover and mountain big sagebrush (A. t. ssp. vaseyana) does not naturally exceed 20 percent canopy cover; (2) As big sagebrush canopy cover increases over 12 to15 percent, bare ground increases and perennial grass cover decreases; (3) Removing, controlling, or killing big sagebrush will results in a two or three or more fold increase in perennial grass production; (4) Nothing eats it; (5) Biodiversity increases with removing, controlling, thinning, or killing of big sagebrush; (6) Mountain big sagebrush evolved in an environment with a mean fire interval of 20 to 30 years; (7) Big sagebrush is an agent of allelopathy; and (8) Big sagebrush is a highly competitive, dominating, suppressive plant species." I going to touch on just a few of the Axioms which are pertinent to my own experience, but they are all clearly outstanding in their assessment by the authors. I also love the sarcastic sense of humor by the Authors in questioning some of the long held stupid ideological scientific beliefs motivated by money making ventures conducted on public and private land holdings. You may even see some similarities to the much demonized Mesquite in the southwest which has spread as a result of lousy land management and overgrazing. "Wyoming big sagebrush (Artemisia tridentata ssp wyomingensis) does not naturally exceed 10 percent cover and mountain big sagebrush (A. t. ssp. vaseyana) does not naturally exceed 20 percent cover." "This axiom is best verbalized by Miller and others (1994, p. 115): “In the early to mid 1800s, much of the sagebrush steppe was probably composed of open stands of shrubs with a strong component of longlived perennial grasses and forbs in the understory … Shrub canopy cover probably ranged between 5-10% in the drier Wyoming big sagebrush (Artemisia tridentata ssp. wyomingensis) communities ..., to 10-20% on the more mesic sites, occupied by mountain big sagebrush.” Speaking of the present, they noted (p. 119): “Wyoming big sagebrush cover has increased from less than 10% to 20%, and mountain big sagebrush cover from less than 20% to 30% and 40%.” All due to overgrazing." The authors then go on to ask a series of logical question that should have been asked in the original studies and observations. The then proceed to ask three very important questions. "First, what do the wild animals which are adapted to this type of Big Sage Brush habitat suggest to us concerning this canopy cover ?" This first question is important in that how does the rest of natural world like animals, interact with such Big Sagebrush habitat which has been around for thousands of years and worked perfectly well ? Second, what are the Big Sage Brush canopy cover values found in undisturbed relics and kiputkas (undisturbed wildlife habitat islands left untouched by urban growth) and what do we observe from these semi-pristine islands ? This is another very important question, as even southern California in Chaparral country still has some wildlife islands, but they are dwindling fast. Still they provide a far better observational venue than modern day disturbed sites which have been thrashed and forced to heal over and over countless times in just the last 150 years of human intervention and disruption of natural processes. It is almost impossible to study how things actually work in a pristine environment anymore. Mission Valley in San Diego has north and south facing examples which may yet reveal important clues about old growth coastal chaparral plant communities, even Cowles Mountain among others. Third, what is the quality of the science used to support this flawed Axiom ? No kidding. No further input by me is necessary here! But the authors then proceed to offer numerous studies which indicate that large numbers of wildlife actually prefer old growth Big Sagebrush habitats. Again, no kidding. This is almost identical to Chaparral Plant Communities. "Removing, controlling, or killing big sagebrush will result in a two, three or more fold increase in perennial grass production. Miller (1957, p. 18) states the axiom in these words: “Spraying sagebrush on a Washington range results in a three-fold increase of grass forage.” On the surface this sounds great if you are interested in livestock grazing, but there are some problems with the science." "there seem to be the usual complement of birds, small mammals (including foxes, rabbits, and coyotes), reptiles, insects, spiders, lichens, shrubs, grasses, forbs, and biological crusts. On one kipuka I observed deer tracks." This is absolutely funny. The Mesquite get the same exact ignorant vilification because it is believe nothing eats Mesquite. The funny thing though is that countless animals, including domestic Cattle eat Mesquite bean pods as they are very tasty and nutritious. Incredibly none of the people saying these things are embarrassed as a result of saying such stupid unscientific things. 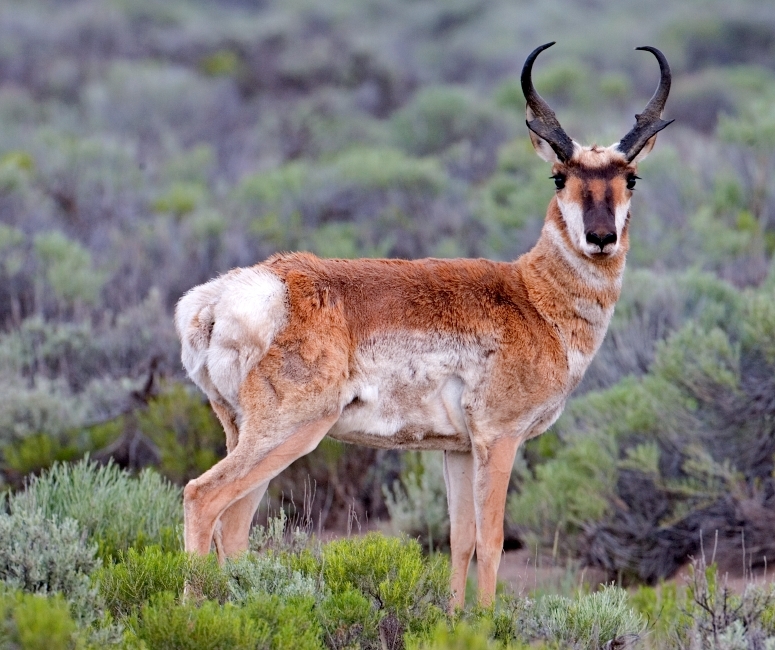 For the Artemisia tridentata, Pronghorn Antelope are a prime grazer of Big Sagebrush. Even Bison, while no preferring the Big Sagebrush do seek it out for their rich understory treasure trove of many herbaceous plants and grasses which flourish under their canopies. Despite the lies being told that this plant toxic to others. The one thing that just keeps nagging me is, what would the health of these various vegetative plant communities still be like if many of the larger wildlife numbers still existed today ? We will never know or possibly understand this as we may never again see such numbers under the present System the entire world finds itself in. Biodiversity increases with the removal, controlling, thinning, or killing of big sagebrush. Olson and others (1994) reported that in their big sagebrush control plots, the number of plant species increased by three to four species over untreated big sagebrush plots, but they failed to name what species of plants and where they came from. Did the new unknown plant species seeds just float in, on the wind, like musk thistle (Carduus nutans), could or develop from long-lived dormant seeds formed from plants that have been grazed out before treatment? Are their comparisons between overgrazed big sagebrush sites versus treated sites proper, or should the comparisons be between undisturbed or never grazed by livestock big sagebrush sites versus treated sites? Should the measurement of biodiversity be determined only on number of plant species present or on total number of species of all life forms? What did the rebuttal of the last axiom number 4 tell us? 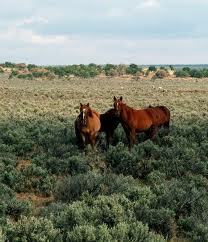 That a large number of species consumes big sagebrush directly and indirectly. Is this not an expression of biodiversity? This is another hilarious report which isn't even close to being founded in reality. Compare this to the southern California Chaparral Plant Community. This idiocy of spraying to kill Big Sagebrush would be to the present stripping the land by means of fires, bulldozing, brush grinders, crushers, chains and any irresponsible chemical treatments and then justifying it by saying plant biodiversity increased, but then not listing the plants that replaced and colonized former Chaparral Habitat, because the bogus embarrassment of a list would in reality be Mediterranean Wild Mustard, Wild Radish, Star Thistle, various species of non-native Foxtails and European Wild Oats etc etc etc would be absurd and asinine. And yet that has been the reality of So-Cal Fire mismanagement in the rural areas. Once again, like the Chaparral Plant community, there is a deliberate attempt as misinformation on fire ecology and the myth and fables of prescribed or controlled burn necessity. Read the entire comments from the above link by the authors. It's unbelievable. The managers insisting on burns stated that the Big Sagebrush recovers rapidly after fire and the authors questioned: "How rapid is rapid?" This is because the Artemisia does NOT recover from it's base from fire as other chaparral plants do. It has to have seed wind blown in from outside locations. One study of an area showed that after one burned area was observed, Big Sagebrush still hadn't returned even after 11 years. "Big sagebrush is an agent of allelopathy"
Allelopathy is where a plant utilizes chemical strategies to further it's selfish gene survival as an area's dominant species and in this case it's a flat out false statement. This is so easy to understand by doing your own personal field observation on your next hike into these areas and again you should read what they author's site as examples of erroneous testing and other flawed experiments. The understory of the old growth Artemisia tridentata has some of the richest plant diversity in it's habitat. In actual fact the rich diversity is better there than out in the open. One important point I referenced at the outset of this post is the ability of Hydraulic lift and redistribution of deep underground subsoil moisture and giving it to other shallow rooted plants. One plant, Indian Paintbrush (Castilleja coccinea) is commonly seen flowering among Artemisia Sagebrush species. Why ? It is considered a partial root parasitic plant that must colonize the Artemisia in order to thrive. Many home gardeners have a tough time growing these plants on their own. Take a look at the advertisement below. 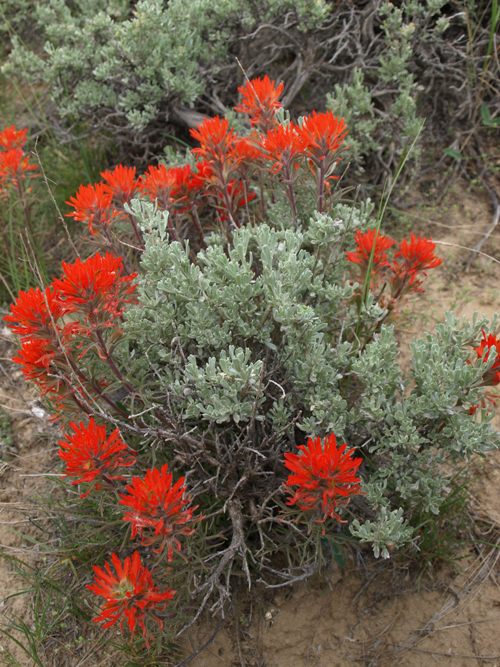 What they are not telling you here is that the Indian Paintbrush actually needs the Artemisia sagebrush as a host, aside from the fact that it makes a great companion for stunning beauty. This next and final Axiom hits real close to home. "We have found in the field the seedlings of bigtooth maple-Acer grandidentatum, box elder-Acer negundo, singleleaf pinyon pine-Pinus monophylla, and Utah juniper-Juniperus osteosperma growing under the canopy of mature big sagebrush plants. Diettert (1938, p. 5) observed: “Not only is it of direct value as a forage crop but in many places it provides shelter for tender and perhaps more useful plants.” Drivas and Everett (1987, 1988) and Callaway and others (1996) describe the use of big sagebrush as nurse plants for singleaf pinyon (Pinus monophylla) seedlings, Patten (1969) for lodgepole pine (Pinus contorta), and Schultz and others (1996) for curlleaf mountain mahogany (Cercocarpus ledifolius)." What more can be said on this false assertion, that Sagebrush or Chaparral hinder the growth of more desirable plants and trees ? Presently the Chaparral Institute is engaged in a legal battle over the flaws in the reforestation projects which have actually destroyed Rancho Cuyamaca State Park by their mismanagement of the natural vegetation there called Ceanothus. This is another attempt to demonize a chaparral plant said to hinder growth of Pine, Oak, Fir, Incense Cedar and other more desirable eye appealing species. You may read about it here below. Large stands of Ceanothus cut down as well as dead tress which provide valuable habitat. The area is being prepared for a prescribed burn. See fire line to the left. In the top photos of Garner Valley, it was common back in the 1980s and maybe early 1990s to promote forest growth by the old Penny Pines plantation projects. 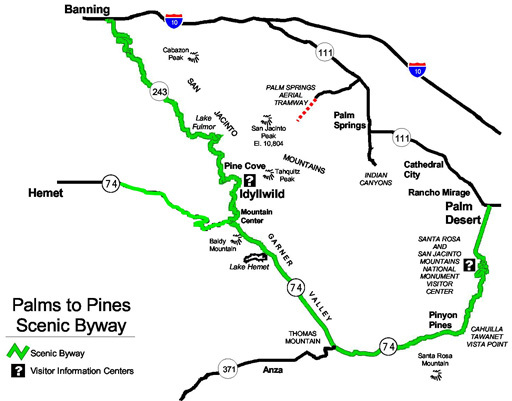 Several planting projects were mostly done on the south side of the Palms to Pines Scenic Highway 74. In fact for all those almost 24 years of my living there, I never saw a planting project on the north side. Mostly it was meadow and grasslands. I did however see one land preparation method of old small scale Farm Caterpillars being used to pull giant chains to cut off Chaparral at it's collar and burn the residue in piles. The ground was stripped bare as it was always assumed that seedling success would only be achieved by eliminating competing Chaparral species which would crowd them out. This has been proven over the past few decades to be false and continued bad land management practices with research papers justifying these flawed antiquated outdated techniques have further proved to be an ongoing lie in favour of promoting other economic agendas. One possible reasons for the methods in this area particularly may be the maintenance agenda for promoting business along the "Palms to Pines Scenic Highway". Take note below of the map and program's link which goes into depth of their Corridor Management Planning which wants the route to continually have public eye appeal. Pines, Oaks, Cedars, etc fit that agenda, chaparral doesn't. 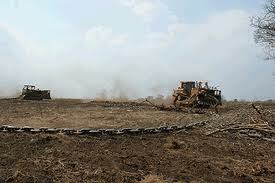 When I went to school, such land clearing techniques were what i was taught as a means of the reforestation programs I personally participated in. We were always taught that if success was to be achieved in reforestation, then ALL competing Chaparral species had to be eradicated. And that's what we did. Previously I have written of my own personal experiences as a youth in experimenting on my own in establishing a Torrey Pines (Pinus torreyana) wooded area up on Rattlesnake Mountain in El Cajon California. This started in the 1970s and I cleared land to the dirt by eradicating all California Sagebrush and California Buckwheat. I grew almost 20 seedlings and nurtured and watered them for a couple of years. They did okay, but did better when I applied a heavy layer of pine mulch which shaded the ground and helped retain water which had to be painstakingly hauled straight up a mountainside by hand. To make an already told before story shorter, I later inoculated the trees with ecto-mycorrhizal inoculum and also learned at that time that in nature Nurse trees are of benefit. At first I thought this was merely a shade issue which helped establishment, but it wasn't until almost over a decade later i found out about phenomena called Hydraulic Lift and Redistribution and/or Hydraulic Descent. But luckily for what ever reason, I planted two Torrey Pines in the shelter of an old growth Laurel Sumac (Malosma_laurina). Once again out of all that time and effort, only the two Torrey Pines have succeeded where the other babied trees died. BTW, I only watered the two Laurel Sumac planted pines the first year. after the failure of the other pines (some over 6 foot tall) that same hot summer, I said forget it and later moved to Idyllwild CA in 1981. It wasn't until a little over a decade later while visiting El Cajon in early 1990s and going for a hike up there with my son that I found both trees as tall as me and without any care. The foliage was bright and healthy. Before moving over here to Sweden, I had gone to Rattlesnake mountain again in 2004 and they were between 15 and 20 foot in height. I went back for a visit last year for a summer visit in 2011 and photographed them for the first time and below is the result. Torrey Pine Tree on Rattlesnake Mountain in El Cajon California. Last year I actually saw the early formation of it's first pine cones. It's truly incredible how these trees which by the Scientific Native Habitat rule have no earthly reason for succeeding here are indeed doing so well. Update (Sept 2013): The picture of the Torrey Pine above has been cut down with a chain saw. The residents of the new housing development Sky Ranch of Santee California were offended by it and one other tree's presence and justified cutting it down because they were said to be known to caused fire hazards, which is an idiotic uneducated comment to make. Nevertheless, the trees are now gone. But the lessons learned will last forever. Laurel Sumac makes an excellent Mother Tree or Nurse plant for the establishment of not only Torrey Pines, but also any other tree normally associated with the Coastal Sage Scrub plant community. Trees like various Oak species. This second tree is lower than the upper one and nearer to the wash below the Laurel Sumac. The foliage of the Sumac was more vigorous down there and it shaped and contorted the tree into more picturesque shape and form. Since then I have learned that Laurel Sumac exhibits some of those Hydraulic Lift & Redistributing abilities. No Kidding! So here is a challenge to everyone reading this post. Where ever you are on planet Earth, test out some of the amazing findings of how nature works with regards nurse trees and their incredibly sophisticated underground networks for nurturing seedlings towards mature tree establishment. Find a suitable tree known in it's native habitat in your area for qualities of exhibiting Hydraulic Lift and Redistribution and plant a tree seedling and leave it alone after inoculating with mycorrhizae. Water the first year on and off and leave well enough alone after that. For folks in Southern California's Chaparral Plant Community, prove Chaparral's worth as an important piece of the ecological puzzle. Good Luck and success with your own Guerrilla Habitat restoration project!